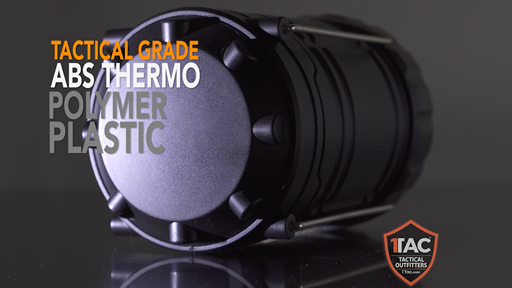 Trusted by serious outdoorsman, hunters, campers and fisherman around the world this ultra bright (500 Lumen), durable, dependable lantern is powered by the most advanced COB LED technology on the market. 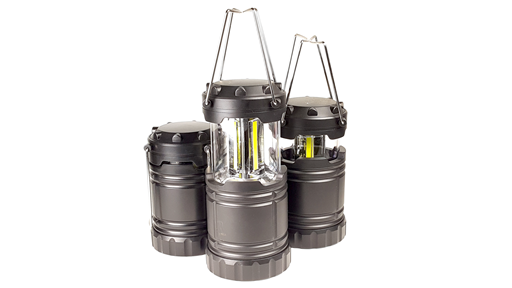 This lightweight compact lantern is easy to carry and easy to store, features retractable handles, “Pop-Up” Instant-On functionality, 50,000 hour lamp life and Tactical Grade high impact ABS thermoplastic polymer. The ultra-magnetic base allows multi-directional use. 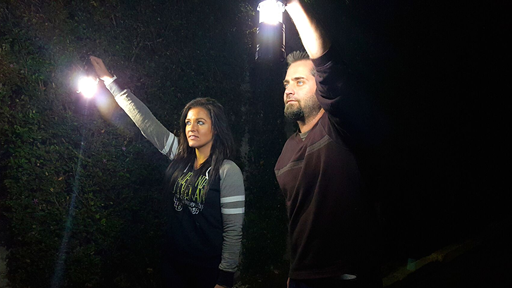 Perfect for hanging in a tent, working in the garage, around the house, in a power outage or any emergency situation. 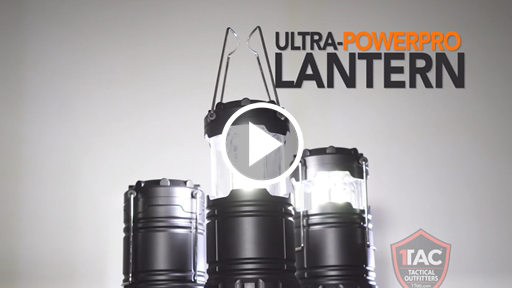 ULTRA PRO POP UP LANTERN: Lightweight and durable. Easy to Carry and to Store. 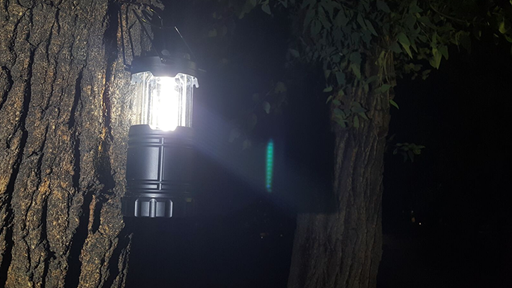 A handy Pop-Up lantern for outdoor or indoor use. Takes 3 Double AA Batteries Not Included.